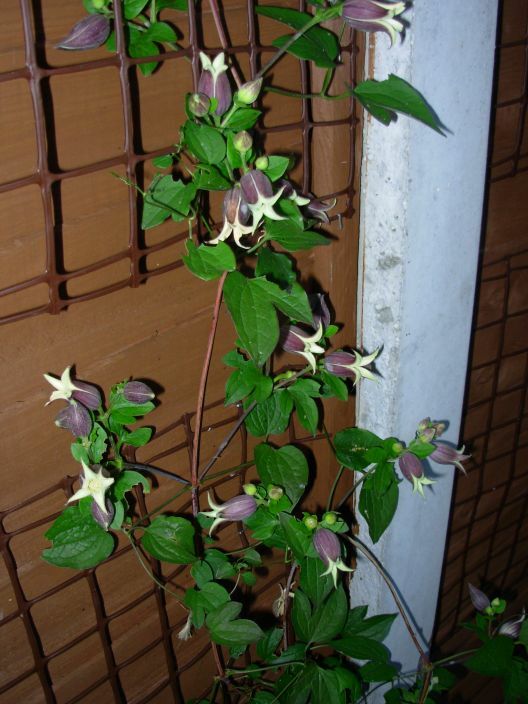 Here is a photo of clematis ianthina v. kupripoensis that I recently took. 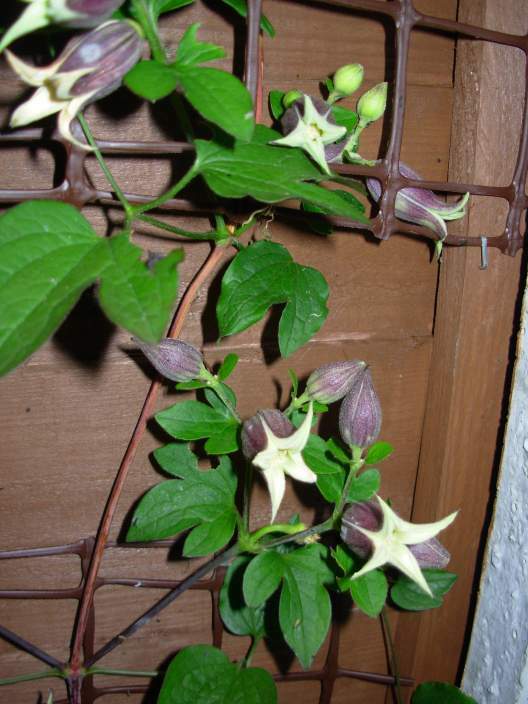 Some more photos of clematis ianthina v. kupripoensis that I took in my garden. I bought this from Crug Farm plants when I visited them in April on their recommendation. Although it has only been planted since late April, it has already produced some fantastic flowers. I had some trouble posting this as the system wouldn't keep me logged in. In the end I had to re-register - hence Aidan2 in case you were wondering. The identity of this plant has been a bone of contention for a number of years as this example does not match exactly the description by Magnus Johnson. There has been a number of threads on this plant within other forums and I don't particularly want to start another. At the end of the day it is still a very attractive form although I have found variations in its ability to set seed. My own example from Crug farm never sets seed despite producing copiuos amounts of flowers and even after efforts to hand pollinate. While an example grown from seed (BCS seed exchange) is identical in all respects but always produces lovely golden seedheads. Aiden, thanks for posting. I don't know the contentiousness of this plant, but I'm curious about what you're referring to, Steve? Are there arguments that this is one of the forms or a different species? It certainly is more elongated in its flower form than the ianthina v. k. that I've grown from seed, but it also makes it a bit interesting to me. I'd love to know more. Steve has a point - the flowers are more elongated than the description given by Magnus and the stamens are tightly enclosed within the sepals. So far no seedheads have been produced, so Steve may be right. I have examined one closely and although the stamens extend to about half the length of the flower head (the total length of the flowerhead is about 26mm), the four spongy sepals do separate and could be pushed apart by a bee, although I have not observed this. 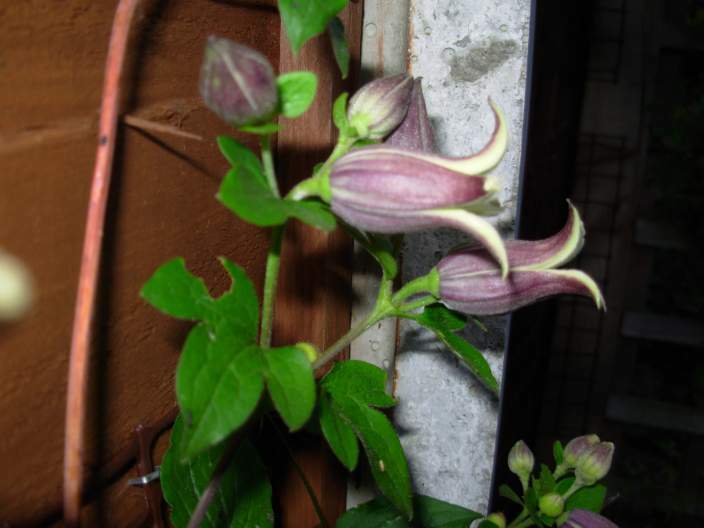 I am sure if Keith was reading this he could answer it better than me, as he wrote an article in the 2006 edition of the International Clematis Journal all about this plant. 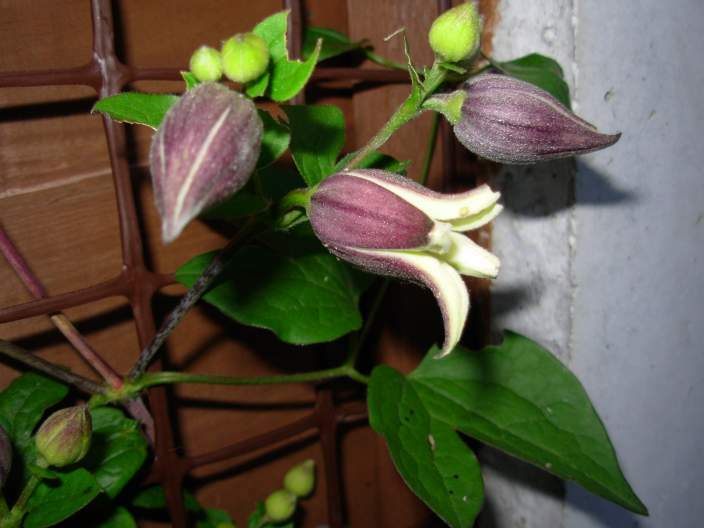 I even think there was a thread on this particular plant somewhere back in the past on gardenbuddies, but I cannot remember when. The article written by Keith was very interesting (as his articles always are) and accompanied in the Journal were pictures of the original plant described in Magnus Johnsons book along with a herbarium specimen. The flowers certainly look markedly different although it was surmised that the Crug Farm plant was a natural variation as the seeds were collected in the same sort of area. From seed this plant seems to be true to type and due to its somewhat markedly different shaped flowers to its currently named form I think it deserves its own classification but that is another matter. Thanks, Steve! I don't think I have the BCS journal from that far back, but this has been an informative thread.